Former Ohio Attorney General Richard Cordray announced his candidacy for the Democratic nomination for Governor of Ohio Tuesday morning at a diner in his hometown of Grove City. “I’m running for Governor to make things fairer for Ohio families, to finally create a system that works for every one of us,” Cordray said in a video to supporters featuring former President Barack Obama and U.S. Sen. Elizabeth Warren. Cordray recently stepped down from his position as Director of the federal Consumer Financial Protection Bureau, which was widely taken as a sign that he would announce his candidacy for Ohio governor. In a press release, Cordray spoke of his time at the CFPB. “Working with President Obama and leading the Consumer Financial Protection Bureau, I had one job to do: to protect people and their hard-earned money. And I’m proud of the job we did,” Cordray said. All too often, he said, the special interests love to call all the shots. “They taught Rich that there’s no higher calling than dedicating yourself to the service of others – a lesson Richard has never forgotten,” the release said. “It’s why Rich has dedicated his life to standing up to corporate wrongdoers on behalf of working families. He believes people deserve to be treated fairly, with dignity and respect, and that too often they are left behind while the system serves the special interests. That’s why he is running for Governor – to change the system so that it works for Ohioans and their families. Over the last five years, Cordray served as the first-ever director of the Consumer Financial Protection Bureau, a position he was appointed to by President Obama, where he led an agency that was launched in the aftermath of the nation’s financial crisis, dedicated to defending families against Wall Street and corporate abuse. Under Cordray’s leadership, the CFPB brought actions against some of the nation’s largest financial institutions – forcing them to pay nearly $12 billion to over 30 million Americans who were cheated or mistreated. Cordray also launched new programs to help Americans and their families reach their own financial goals and plan for retirement. Before serving our country at the Consumer Bureau, Cordray defended Ohioans as Attorney General. He worked to hold Wall Street accountable by recovering more than $2 billion for Ohio’s public teachers and retirees who were victims of fraud and financial predators. Cordray opened the complaint process to small businesses and nonprofits so more Ohioans could have their voices heard and seek to have their problems resolved favorably. The Better Business Bureau recognized Richard with an award for his work on behalf of Ohio businesses and consumers for greater fairness in the marketplace. Prior to serving as Attorney General, Cordray served as the Ohio Treasurer, where he protected taxpayer funds, managed the state’s bonded debt and investment accounts, expanded job growth by supporting small businesses with reduced-interest loans, and spearheaded financial literacy programs to empower Ohioans. 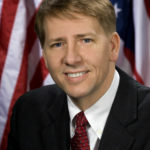 Cordray also served as an Ohio State Representative and as Ohio’s first ever Solicitor General, where he represented the State of Ohio before the U.S. Supreme Court and the Ohio Supreme Court. He fought to protect Ohio’s hate crime laws and against the Ku Klux Klan’s efforts to expand in southern and central Ohio. Cordray still lives in Grove City, Ohio with his wife, Peggy, and their two children, the release concluded.